Experience Requirements: Candidate should have relevant post-qualification work experience in Fabrication/ Production/ Outfitting/ Planning/ Design/ Project Management. Experience in Commercial functions, Contract negotiations and Materials procurement would be an added advantage. Mazagon Dock Limited announced a recruitment notification and invites application from eligible aspirants for the various vacant vacancies of Assistant Manager (Electrical). Aspirants those who are interested and eligible for this recruitment may submit their prescribed format of application form on or before last date which is November 30, 2013. Qualification : Full-Time degree in Engineering in Mechanical/ Electronics/ Electrical with minimum First Class or 60 % Marks or equivalent CGPA from a recognized University/ Deemed University Or Institute recognized by AICTE. 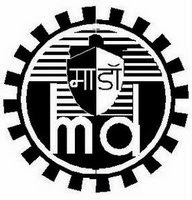 Eligible candidates shall apply through online registration system by logging on to MDL website www.mazagondock.gov.in and clicking on “Online Recruitment”. The site shall be activated and will remain functional from 01.11.2013 to 30.11.2013. Candidates have to apply Online only. No manual/ paper application will be entertained. While applying online, candidates should keep a scanned copy of their passport size colour photograph and their signature in jpeg format. An application cannot be changed or edited after the last date of application. Candidates shall possess a valid and active email-id, which needs to be entered in the application form. Only this email ID will be considered for all future correspondence. Also note that a validation email will be sent to the email id after filling up the application form. Application will not be accepted until the email id is validated.